Click here to go to our puppy page~! CLICK HERE TO FIND OUT ABOUT BERNERDOODLES. 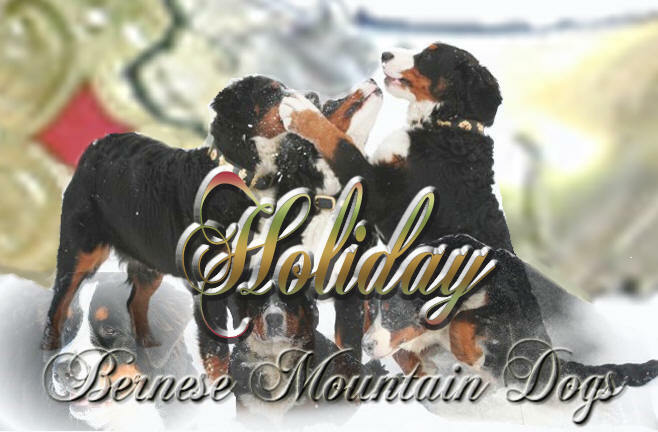 Hello my name is Carri Ehrich, owner and creator of "Holiday Bernese Mountain Dogs". 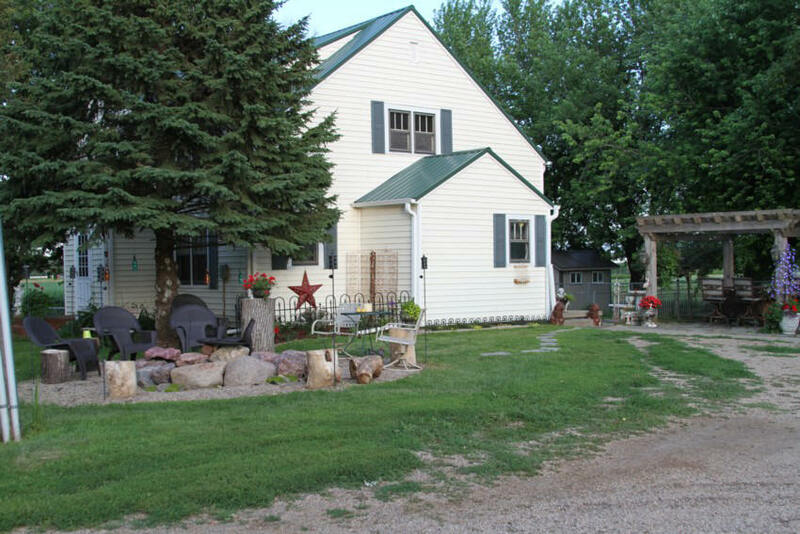 Summer and Fall working on projects around the acreage. 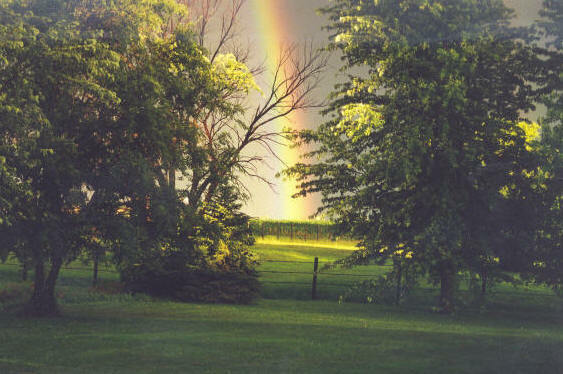 It is very peaceful here and have the best view in Clay County~! Our sunsets are AMAZING~! 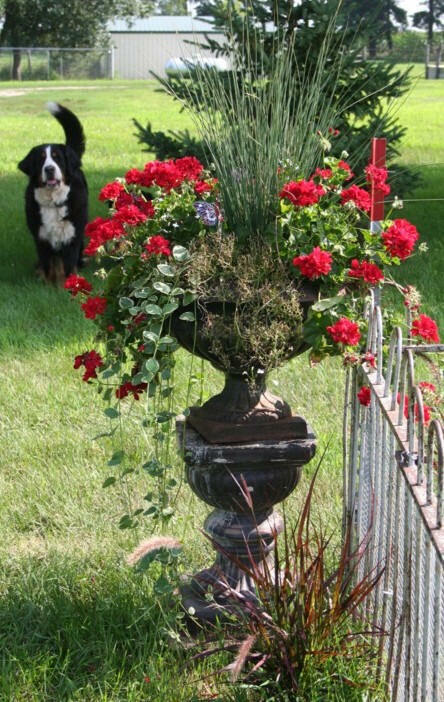 Besides enjoying Antiques, cement pots and garden sculptures and pieces of vintage Iron, raising flowers and a garden, the care and love we put into our Bernese Mountain Dogs are at the top of our list~~! . 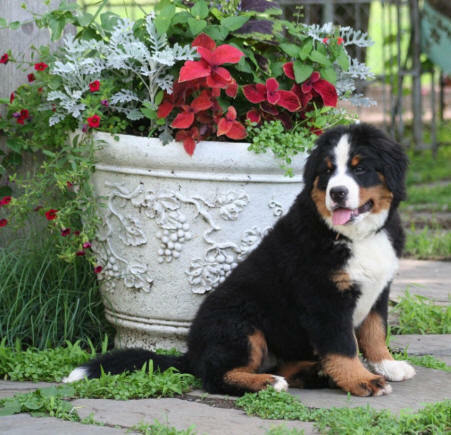 The Bernese Mountain Dog was originated in Switzerland and used as a farm dog and as a guard dog that was able to roam around the farm freely. 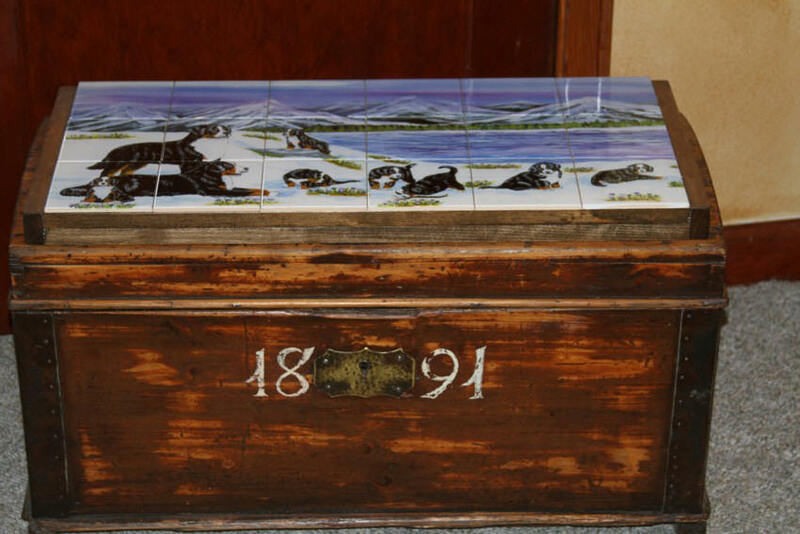 They are most known for their farm work in pulling small wagons carrying cans of milk to other farmers or town residents through the Swiss Alps. That is where they have acquired the “Draft Dog” Title and the heavy strong bone structure to do the work they used to do. 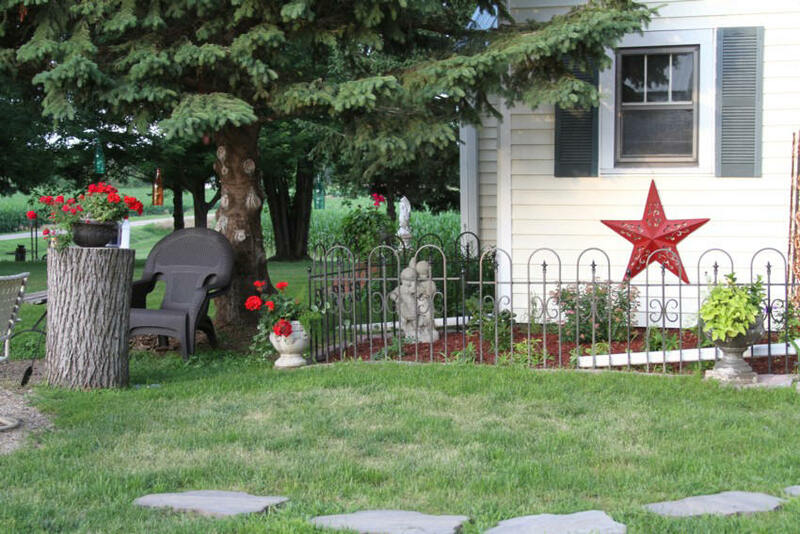 The Bernese Mountain Dog loves to be outside and will stay close to their owners whether they are in the house, garden or the barn. These dogs love other animals and are very gentle with them. The Bernese Mountain Dog is raised as a family dog to be very loving, good natured, alert and fearless in any given situation. 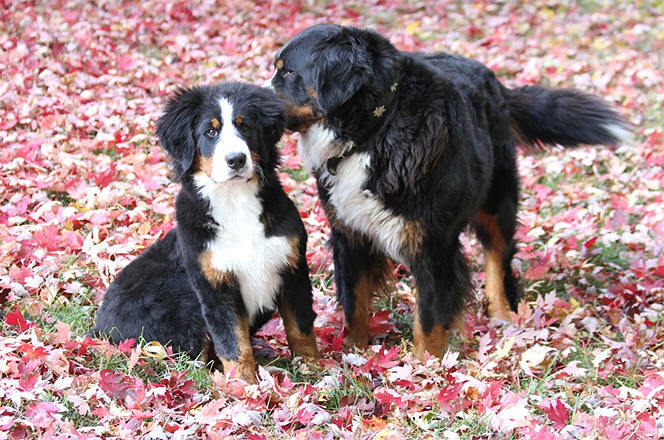 The Bernese Mountain Dog will bark when strangers come to your house, but they will stay friendly until the owner comes out, at which time, they will then be relaxed and stop barking. 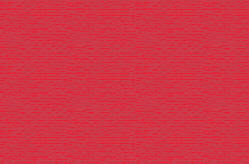 I have implemented a variety of my favorite bloodlines from Europe and from the USA. Great pride and meticulous research goes into each and every dog as they are part of our family and a possible part of “your” family. 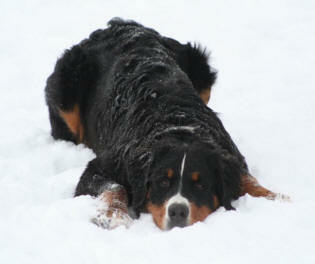 The Bernese Mountain Dog is a very special breed unlike no other. I have never seen such a deep and personal bond they can make with people. 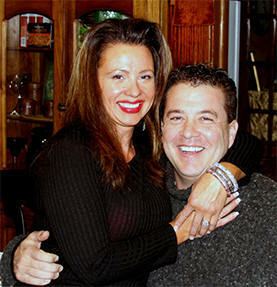 I truly believe they connect with us spiritually. 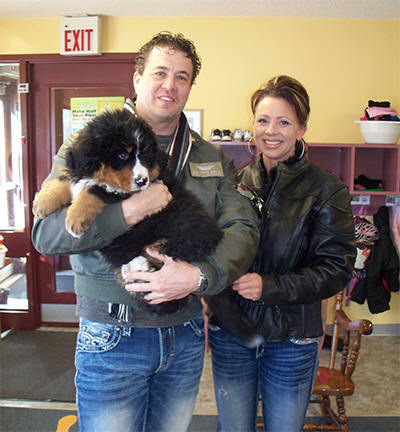 We are very passionate with our chosen breed of the Bernese Mountain Dog! With that passion, one of our favorite activities with them is to take them to AKC Shows. We show them in Confirmation classes. Our goal is to put a Championship of Confirmation on them. There is a lot that goes into a show dog. The most important is the temperament. They must have that “look at me” attitude. We are very fussy with our show dogs. To explain further, just because the puppy stands out at 8 weeks as a show prospect, doesn’t always mean they will make the cut in the end. And then, on top of all that showing, and proving they are the best and able to complete a Championship against some great competition they must be able to pass all of their health clearances at 2 years of age. 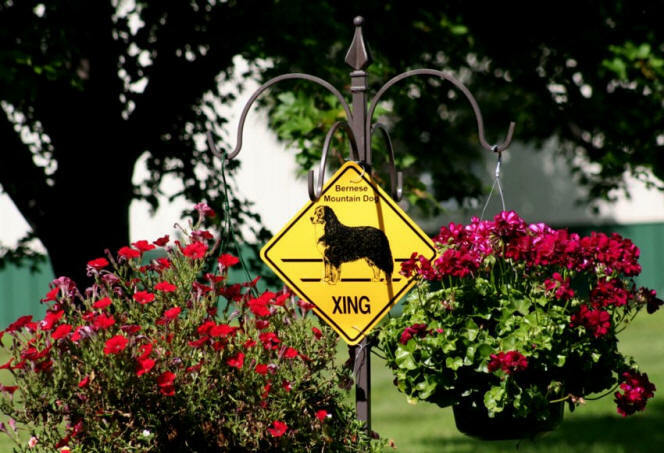 We are continually learning more about this amazing breed. 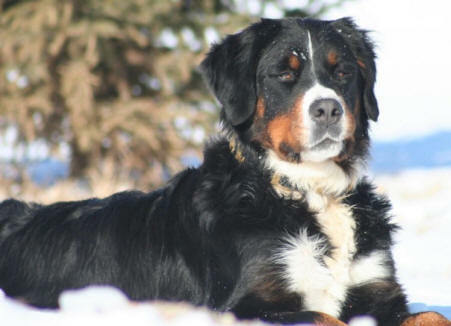 In our selective breeding program, we strive for the heavy Berner drafty bone, large drafty heads, correct movement, correct structure and most importantly…temperament. With every thought process our goal is to improve the breed~! The health clearances are certified through the OFA (Orthopedic Foundation of Animals). 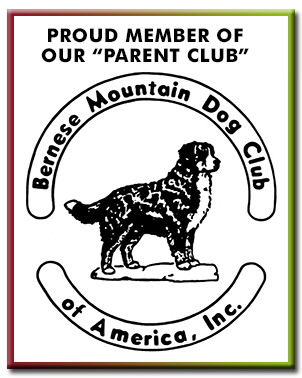 All our dogs have their clearances listed on the Berner Garde web site www.bernergarde.org and on our web site on their individual pages along with their titles they have accomplished, pedigrees and many, many pictures~! You are welcome to also be able to go to the OFA (Orthopedic Foundation of Animals) web site www.offa.org and look up the dogs on there. If you haven’t seen by now, I love photography and enjoy taking photos of our dogs~! 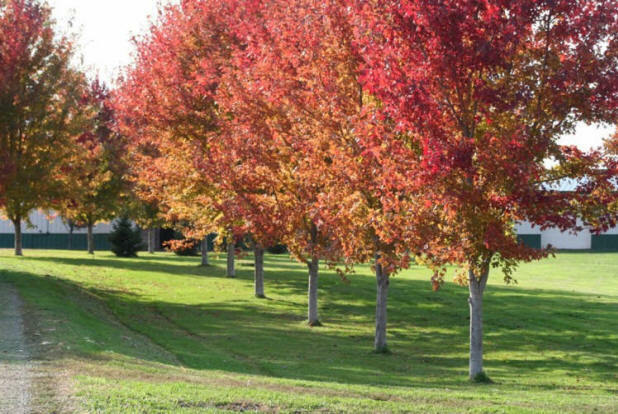 I am not a professional, but enjoy looking at beautiful things. 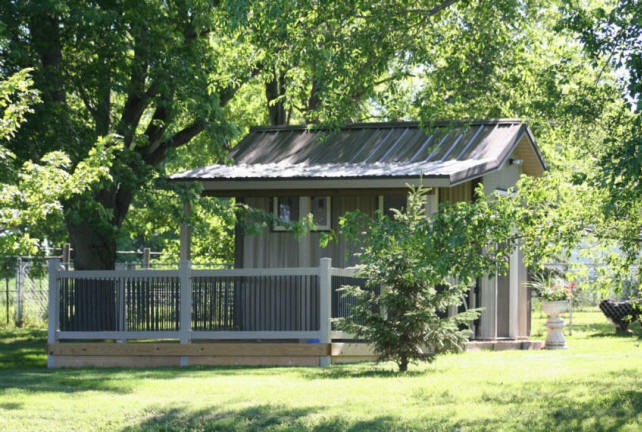 I know you will enjoy looking at our site and our dogs as much as we do~! 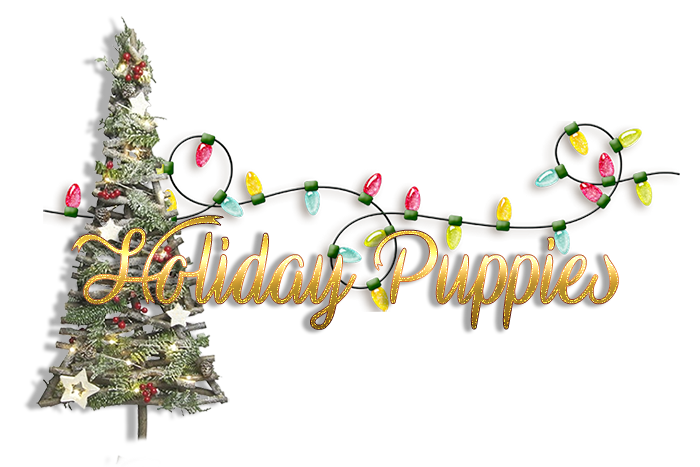 Feel free to call or email me with any questions regarding our family of dogs and let us bring some “Holiday” joy into your life~! My Story of Sosha's Christmas, 2008! 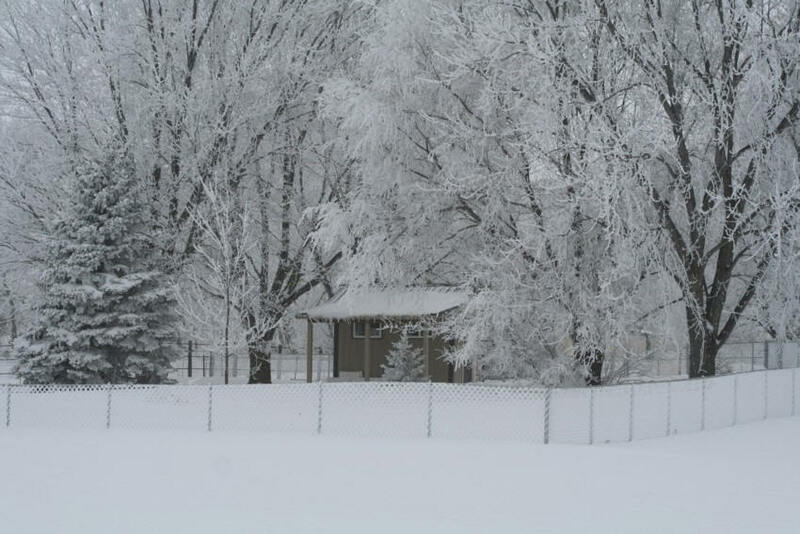 On Christmas Eve 2008 I was in the horse barn cleaning stalls in a hurry to get back to the dogs and feed them and then to the house to wrap presents for Christmas morning. While I was cleaning stalls, my friend, my companion, my loyal Sosha who is always by my side where ever I am at, took after a mouse that was trying to get back to its hole in the wall. Well, she caught it, to my amazement and as she carried it by me I praised her for her accomplishment as I have never seen her catch one before. 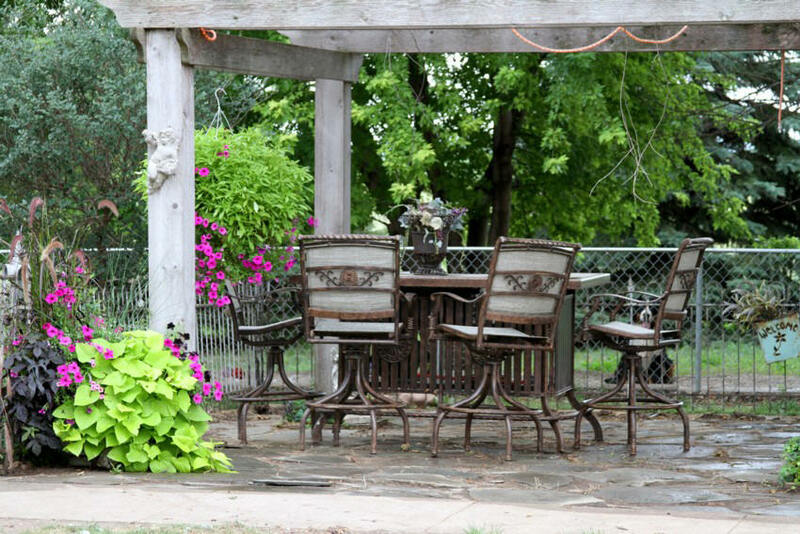 That is usually left for my Rat Terriers who live in the barn. She took the mouse and sat down with it in the middle of the alley way. When she sat it down of course the mouse took off...LOL I think she thought it would play with her~! She chased it under a stall door and I opened the door so she could get it again. By then the Rat Terriers caught on to the chase and went in and grabbed her playmate and took care of it. All she wanted to do is play with it. I praised her for her mission and proceeded on with the chores. On Christmas morning I was up early and out feeding the dogs and then next to the horse barn to feed the horses. 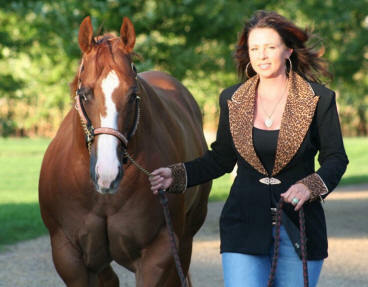 I finished up in the horse barn and then headed out to feed the 4 outside horses. I remembered I probably should go look for that collar before another snow fall. Maybe, just maybe I could find it?? Ya think? Maybe? I fed the horses in the pasture that had a very large pile of trees that were there because they had fallen in storms and such. I set my buckets down and wondered slowly over to the pile while looking on the ground the entire time because thought maybe it would be there. I was about 50 feet from the pile when I looked up and from underneath the large mound of trees, coming out of a den like cave that had been created by the trees, came Sosha as if i slow motion right out of a Disney Movie with the Swiss collar in her mouth~! OMG~! My mouth was wide open as she trotted over to me with her collar. I bent down to take it out of her mouth and she gave me the double Berner nudge and wiggled her head into the collar~! I have never in all my life seen any animal accomplish something so amazing ever~! I hadn't even told her or talked to her about it when I was walking up there, nor did I even see she was in the pile. Sosha has only been taught to sit and shake and has been my loyal companion and always by my side. To me, this was one of the most amazing moments in my life to actually have dog of this intelligence do something like this with not ever being taught fetch or search for things. My dogs wear their collars like royalty wearing crowns. They are very proud of them. She just had to go find her so she could be the "Queen" again~! It simply was a Disney moment that I wish I could have caught on tape~! This made my day and I had the biggest smile on my face all day and told the Story to anyone that would listen of my amazing Sosha~! 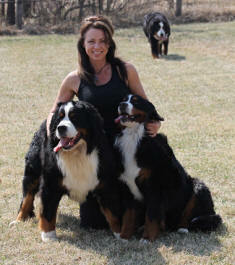 God Bless Bernese Mountain Dogs and All of you~! 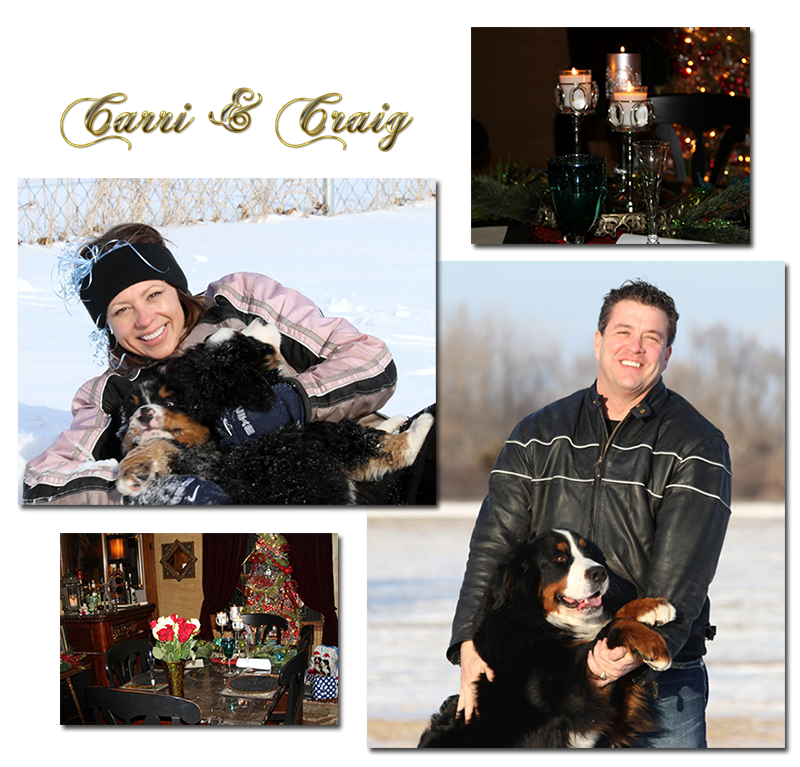 Carri Ehrich of "Holiday Bernese Mountain Dogs"